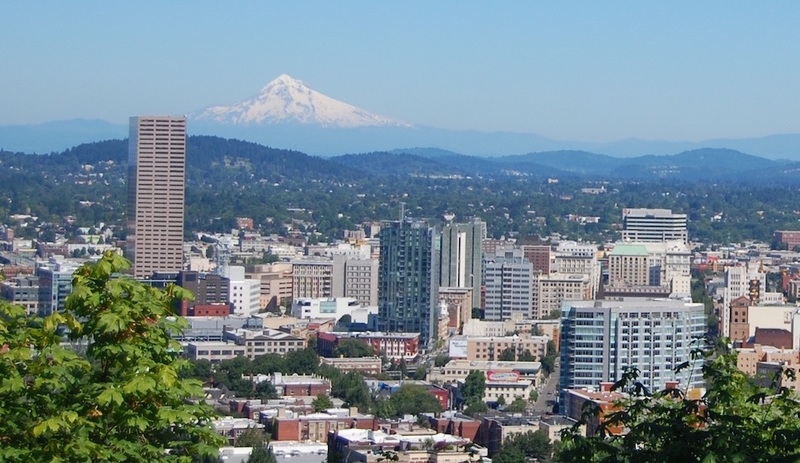 These days Portland is best known for old-timey beards, hipsters, microbreweries, and veganism. 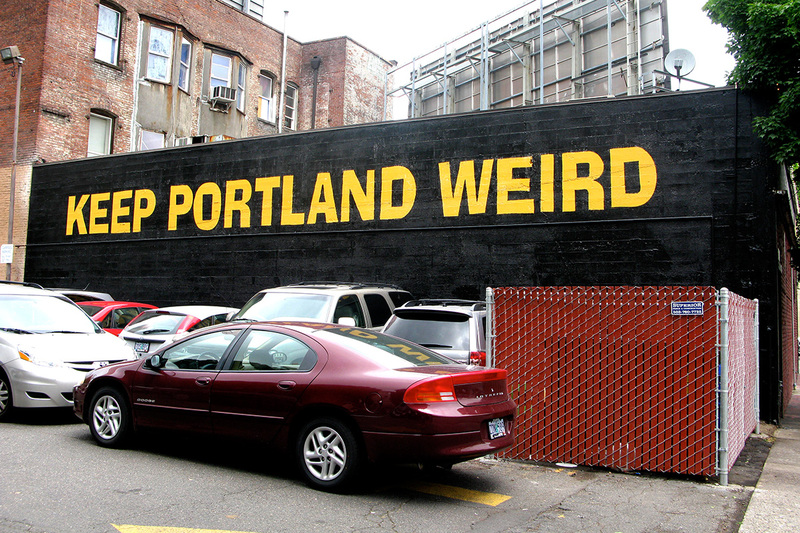 But, if you look past the alternative culture oozing out of the city, you’ll find out that Portland is the undisputed knife capital of the United States. That’s not surprising considering some of the most important knife innovations and designs have come out of the Portland metropolitan area over the past 75 years or so. How did Oregon’s largest city take a seat among the greatest knife cities of the world—alongside Solingen, Germany; Seki City, Japan; and Sheffield, England? Pretty much all of Portland’s importance in the knife community can be traced back to one name: Gerber. It started back in 1910 when the Gerber family set up an advertising business in Portland—a business that still runs today. Joseph Gerber, founder of the Gerber advertising agency, was looking to send gifts to his clients during the holiday season. So he obtained carving knives from a local knife maker named David Murphy. According to a great article in the Portland Business Journal discussing the city’s place in the knife industry, the knives were a hit. Because the knives were so popular, Gerber arranged for Murphy to produce the knives on a larger scale. Then, in 1939, he established Gerber Legendary Blades and made his first sale to Abercrombie & Fitch. 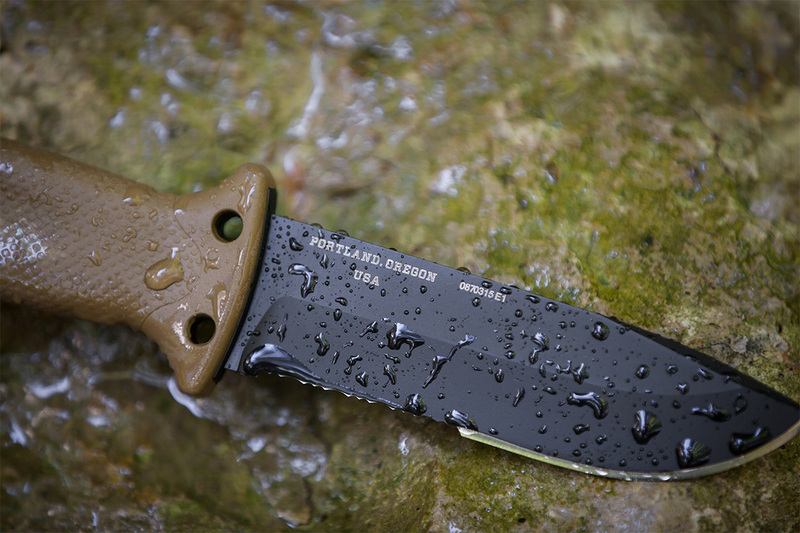 By 1939, Gerber wasn’t the only knife company to call Portland its home. Coast had been established earlier in 1919. The company, which still makes knives and flashlights, was founded by Henry Brands near the banks of the Willamette River in Portland. An excellent early history of Coast can be found on its website. While Coast remains an important name in the history of Portland knives, much of the city’s stake today can be attributed to Gerber. Thanks to his marketing prowess, Joseph Gerber turned those holiday gifts into thousands of retail accounts around the country. Then, when his son Pete Gerber took over the company from 1951 to 1987, the company only grew bigger. Pete focused on expanding the brand’s line of hunting knives and producing knives for the military. Gerber quickly became the most trusted name in knives by the 1960s. Part of the company’s success can be attributed to Gerber’s keen eye for talent. Al Mar was an American citizen born to Chinese immigrants. He served in the military during Vietnam and received his master’s degree in industrial design from a college in Pasadena, California. He eventually became a packaging designer for Gerber Legendary Blades in the late ’70s up in Portland. When Gerber’s head designer retired, Pete Gerber tasked Al Mar with designing a new handle for a kitchen knife. Pete thought the job was successful and promoted Mar to head designer. For about 10 years, Mar worked as head designer of Gerber and helped further the company’s excellent reputation for designs and quality. 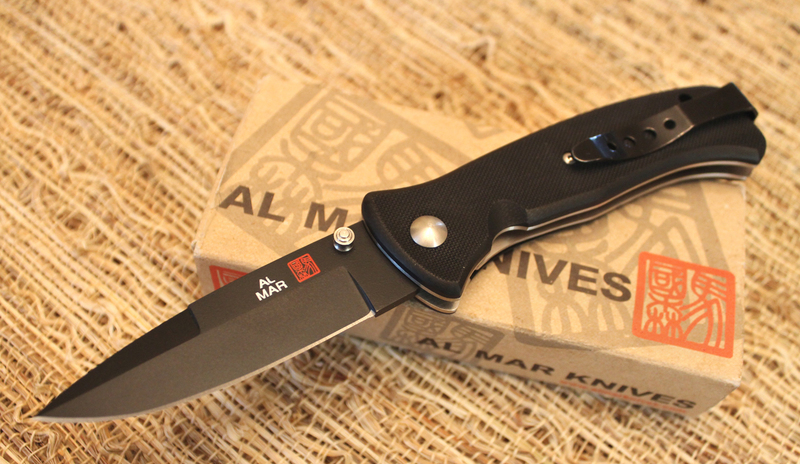 In 1979, Mar left Gerber to create his own company called Al Mar Knives. Although the knives are made in Seki City, Japan, (the more famous City of Blades), the headquarters of the company remained in the Portland area. Al Mar Knives quickly earned a following for quality knives that were nearly at the custom level. You can still see this work in action in knives like the Al Mar SERE 2000 and Al Mar Eagle Ultralight. The company is currently in Tualatin, a city in the southwestern portion of the Portland metro area. Around the same time that Al Mar was hired as a packaging designer, Pete Gerber hired a 28-year-old man named Pete Kershaw as the company’s National Sales Manager. Kershaw grew up in Medford, Oregon, on a pear orchard, so the job came natural to him. He attended trade shows and talked to customers while making connections. I spoke to Pete about the origin of Kershaw Knives, and he told me despite his thorough enjoyment of his job at Gerber, he wanted to branch out and make his own line of knives. Pete Kershaw left Gerber and created Kershaw Knives with his wife Judy in 1974. If you know anything about knives, you know the general story of Kershaw. It was eventually bought out by KAI and became one of the industry leaders in innovation. Kershaw Knives also employed the legendary Ken Onion—his designs were so popular the company actually had to expand its factory and hire more employees. The business was founded in Lake Oswego but now has a large facility in Tualatin where most of the production is done. One of the best events in the Portland area is when Kershaw holds its Warehouse Sale where you can get factory seconds at up to 75% off, as long as you don’t mind a few blemishes. Just like Gerber begot Kershaw and Al Mar Knives, Kershaw begot CRKT. Paul Gillespie and Rod Bremer were former employees of Kershaw Knives when they decided to team up and create Columbia River Knife & Tool (better known as CRKT) in 1994. 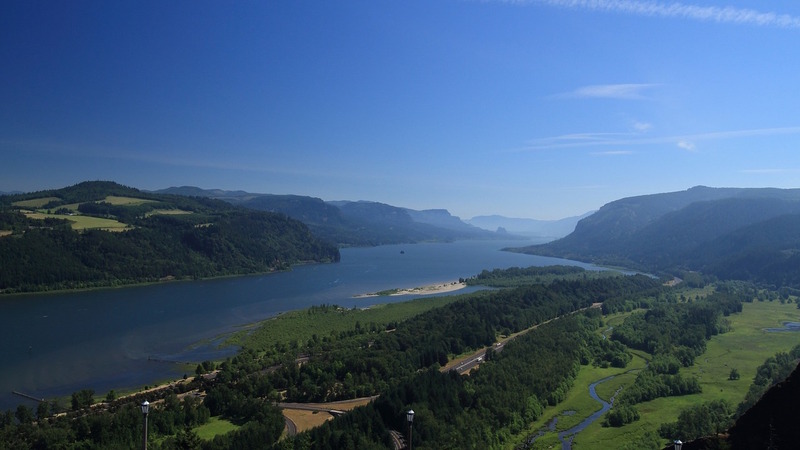 The company is named after the largest river in the Northwest, which flows from the Rocky Mountains in Canada past Portland en route to the Pacific Ocean. CRKT didn’t really make its mark until 1997 with the introduction of Ed Halligan’s K.I.S.S. knife. Ed Halligan is currently being honored with a commemorative edition of that knife. Like Kershaw and Al Mar, CRKT is based out of Tualatin. Even though most of its products are made in China and Taiwan, CRKT still shares a big place in the Portland area knife industry. Gerber has had some sort of connection in the formation of most of the knife companies in the area. The two major companies with no direct connection to Gerber are Leatherman and Benchmade. Timothy S. Leatherman was a local boy who went to Oregon State University for mechanical engineering and set out to design a multi-tool with pliers after traveling abroad. He partnered with his friend Steve Berliner and established Leatherman Tool Group on July 5, 1983. Unlike the other companies, Leatherman has a 90,000 square foot facility right in the city of Portland and employs about 900 people. Here’s a look inside the Leatherman factory. I was just in Portland, but Leatherman stopped giving tours of the facility in January. Leatherman also has a retail store not far from its factory in Northeast Portland. Benchmade’s journey to the Northwest is a little different. The company had a pretty rocky history at the start. Les de Asis started the company, then known as Bali-Songs, in California in 1979. Over the next few years, the company became Pacific Cutlery Corp. Despite expanding its product offerings, the company filed for bankruptcy and dissolved that year. In 1990, Benchmade moved from California to Clackamas, a suburb of Portland. The move was made for a few reasons. Les de Asis wanted his company to be at the epicenter of knife manufacturing, which Portland had become by then. 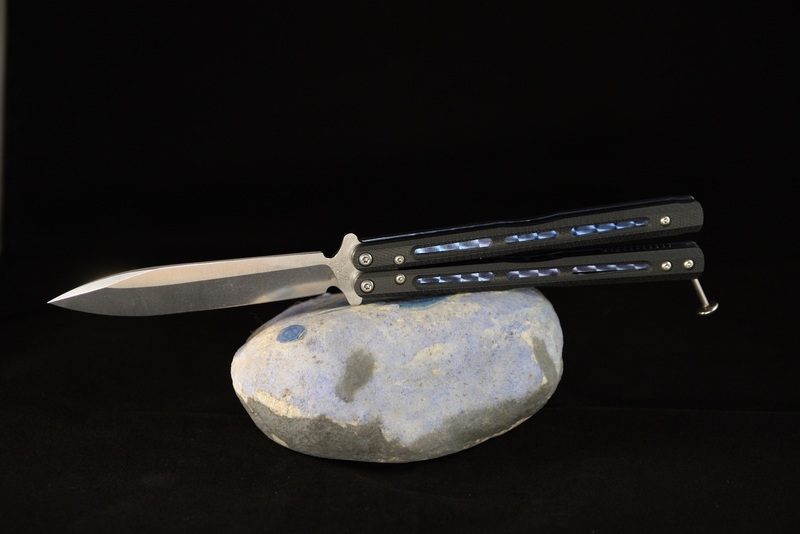 Unlike California, Oregon also has more lenient knife laws, especially toward automatic knives and balisongs. De Asis mentioned the manufacturing infrastructure and the vendors in Portland as a factor in his decision to choose the Rose City over Denver and other cities. Quality of life was another point in Portland’s favor. “We have the U.N. of machines back there,” de Asis said of his factory, with examples from Germany, Japan and England. A dozen or so CNC (computer numerically controlled) machines cut out blade shapes with a laser, bevel the blade, and sharpen it. By the mid-1990s, Benchmade had a loyal following and robust customer base. To meet the growing demand, Benchmade moved from a 15,000 square foot facility in Clackamas to a 144,000 square foot facility in Oregon City. The presence of all these knife companies and the outdoor lifestyle associated with the Portland area has made the city a mecca for custom knife makers as well. A quick Google search for Portland reveals dozens of local knife makers in the area. Bridgetown Forge, Oaks Bottom Forge, and Carter Cutlery are just a few of the big knife making names in Portland right now. There’s even a specialty store called the Portland Knife House run by a chef with “a bit of a knife fetish.” You can get your knife sharpened and check out work from local knife makers. As more companies pop up in and around Portland, it’s only going to further the reputation of the city as a knife-making powerhouse. At this point, it may be safe to say that the city rivals established places like Solingen and Seki City as an important location for the knife industry. What is a Friction Folder and How Does It Work? Really enjoyed this article. I have always been a fan of Gerber and CRKT knives. I knew about some of the history but your article help me learn a few more things as well. No mention of William Henry Knives? It’s in McMinnville, Oregon. I have a question regarding the history of Gerber Knife Company. In the 1970’s 1980’s, did Gerber have any business with the Gidding’s & Lewis Machine Tool. Company in Wisconsin, possibly Fond du Lac? Wonderful article and very informative. Glad to finally understand where the knife industry really began and the role Portland plays now. Great products just wish they were a little cheaper, their labor costs certainly can’t be the reason, they pay their workers near the minimum.